A new Title of 1930m2 is shortly to be issued for what is an absolutely outstanding buying opportunity for this amount of land in such a premium location. Our owner was considering doing a three section subdivision but currently has a full plate with an exciting new business opportunity and has committed to selling as one title (to be issued) at a lower level and allowing a new buyer to choose what they would like to do. 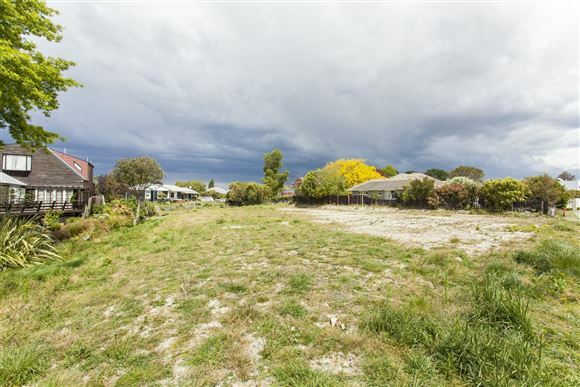 An address that requires no explaining, a wide North facing street frontage of approximately 43m2 and an owner committed to selling makes this an opportunity you can't miss. An underlying LIM, Provisional Title Information, Geotechnical Report available from the agent. School zones include Fendalton for Primary, Cobham Intermediate, Burnside High School and CBHS. Walking distance to local shops, bars and restaurants. Such a prestigious location and looks like it will be good buying!